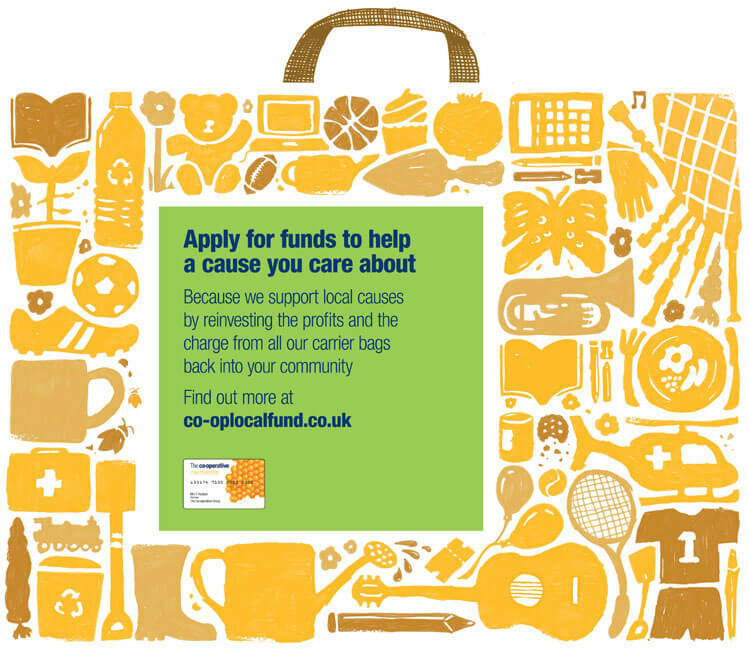 Local groups are being reminded that the 7 October deadline to apply for a grant from the Co-op Local Fund is looming. The Co-op Local Fund was set up by the Co-operative Group to share the money raised through 5p carrier bag charges and sales in its food stores in Scotland. In addition to the 5p minimum charge on single-use bags, The Co-op also pledged to go further and top-up the fund with proceeds from its entire range of carriers, including sales of its bags-for-life and its new woven reusable shopping bags. The retailer plans to give approximately 1,000 organisations and groups from across the country a share of £750,000 by giving grants of between £200 and £2,500 to make a difference to their community. Applications can be made until midnight on Wednesday, 7 October. Then, between 16 November and 11 December, the community retailer will give its one million members in Scotland a chance to vote and have a say, from a shortlist of organisations, on how the fund will benefit local communities. The Co-operative is a community retailer with a strong heritage and commitment to the environment and to supporting its local communities. We are now calling for local causes across Scotland to apply for a share of The Co-op Local Fund to make a difference in their community. The Co-op shares the aspiration of reducing the number of single-use carrier bags in use. It is also encouraging shoppers to further reduce their reliance on single-use carriers by donating profits from its reusable bags to good causes too. The money raised will enable organisations across Scotland to make a difference in their community – together, we will reduce, reuse, recycle, and reinvest in our communities. It is fantastic to see the carrier bag charge raising so much money for good causes, as well as achieving such drastic reductions in the number of single-use carrier bags being handed out in Scottish stores. I would like to commend The Co-operative for their support, and to encourage as many projects and local good causes as possible to apply in order for their communities to benefit from a share of the funds. If you run or are involved in a local group you can go to https://www.co-oplocalfund.co.uk/good_cause_overview.aspx for more information and to apply for a grant of up to £2,500, but you need to be quick, applications must be made by midnight on 7 October.